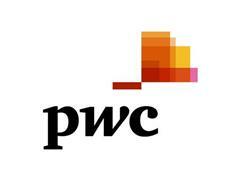 London, 23 Feb 2015 – Seventy per cent of CEOs in the financial services (FS) sector see the limited availability of key skills as a threat to their growth prospects, a big jump from the already 59% high of last year, reveals a report just published by PwC. Yet few seem to have a true grasp of the challenge at stake in righting this. 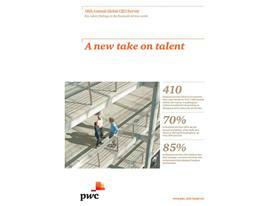 The report, ‘A new take on talent’, which is based on a PwC survey of 410 FS CEOs across 62 countries, and forms part of the firm’s Annual Global CEO Survey, finds that in a sector facing the disruptive impact of new technology, more complex regulation and increasing competition from new entrants, firms are not just competing for seasoned FS professionals but now also have a rising demand for more diverse and hybrid types of talent. PwC’s survey shows 78% of FS CEOs now look for a much broader range of skills when hiring than they did in the past with 58% saying they have a strategy in place to promote diversity and inclusiveness. A further 20% say they plan to adopt one. Ninety per cent of FS CEOs believe that greater talent diversity would improve their ability to attract talent. 85% of FS CEOs believe it would enhance performance whilst 79% say it would improve their ability to innovate. “The key challenge FS CEOs globally are faced with is in how to attract, train and retrain people who for example, combine digital and FS skills – few as yet possess such hybrid capabilities. The sudden demand for more people in areas such as risk and compliance has created an inevitable shortage. In tandem, the image of FS has been eroded, making it harder to compete with other industries in attracting people with prized skills. It is telling that 62% of FS CEOs see lack of trust as a threat to growth, even higher than last year. According to the report, FS CEOs concerns centre on the relentless disruption generated by new technology, changing customer behaviour and a new breed of tech-enabled competitors. When banking, insurance and asset management CEOs were asked from which industry a significant competitor is most likely to emerge, technology topped the list, some way ahead of other FS sectors. According to PwC, the need to create a more flexible and customer-centric organisation demands fewer people with specialist product expertise (‘depth’) and more all-round ‘athletes’ (‘breadth’). These people will have the varied technical skills and multi-industry experience to move easily between clients, countries and assignments. “Our survey shows that in most cases, FS organisations do not have the talent they need to succeed. 70% of industry leaders see the limited availability of key skills as a threat to growth. Only 5% are confident they can secure all the skills they need. The proportion of industry leaders expressing concerns over the availability of skills has risen from less than 50% in the survey three years ago.